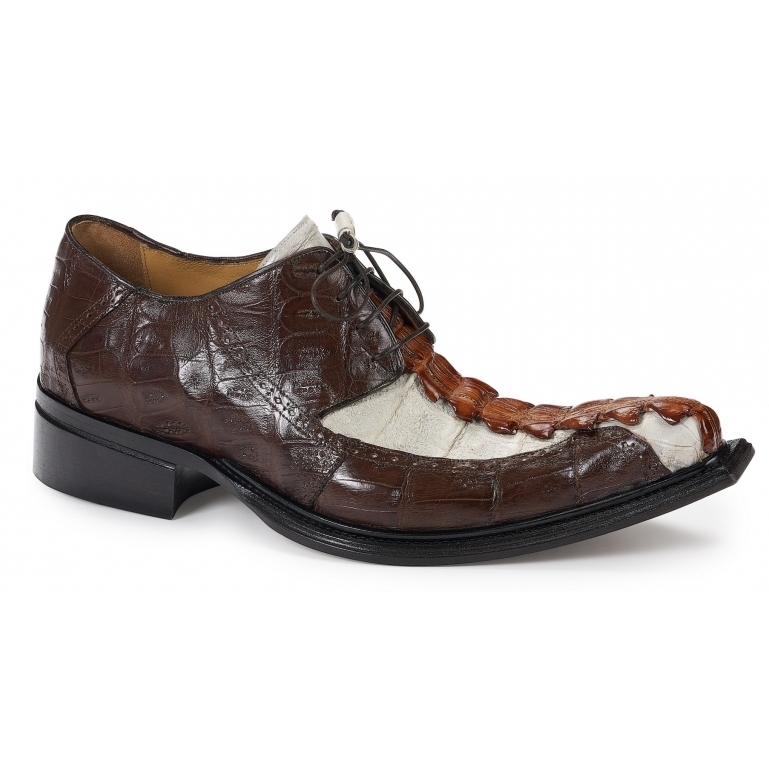 Eye catching tri tone genuine hornback tail and baby crocodile combination spectator shoes. With beautiful colored finishes in Gold, Sport Rust and Acre Raindrops, leather lining and leather sole. Made in Italy.